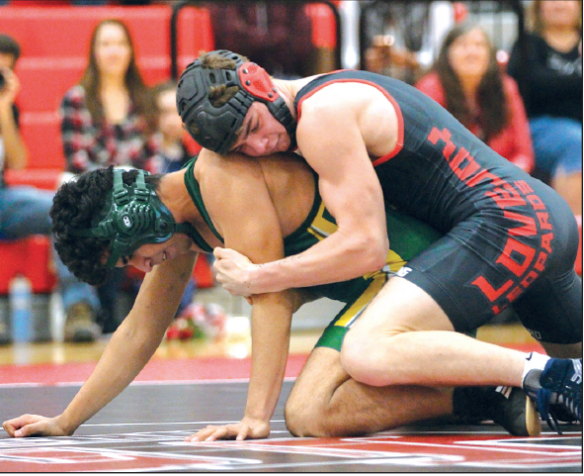 On January 9, the Wrestling Team had major success against Newman Smith winning 17 out of their 20 matches. Before the Varsity matches, the team honored their four seniors Morgan Elvin, Johnny Dorlon, Lilly Musselman and Austen Shelley. Coach Eaton stated “These four are well- rounded, hard-working and respectful individuals. We will certainly miss them next year.” Although Lovejoy’s roster outnumbered Newman Smith, the six forfeits didn’t stop the Varsity Boy’s drive to come out on top. The team finished with an impressive score of 63-12. 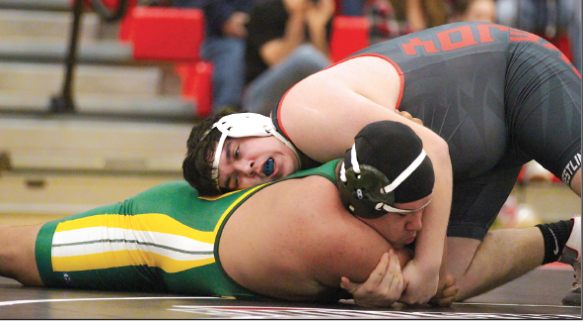 Leaders of the team in this dual included Daniel Schmidt, Jakob Underwood, Dillon Hebert and Grant Sessions as they pulled out key wins to set the overall tone. After losing two matches in the beginning to the Trojans, the Leopards bounced back with an eight-win streak as well as another win to finish off the dual by Grant Sessions. Lovejoy came out with 11 escapes and seven takedowns and led themselves to a well-earned victory. Varsity wrestlers winning their matches included Luke Thomas, Zack Valentine, Jack McKinney, David Gold, Trent Rucker, Dillon Hebert, Daniel Schmidt, Jakob Underwood, Jacob Leirer, Colby Bacon and Grant Sessions.